Article from In These Times. her. 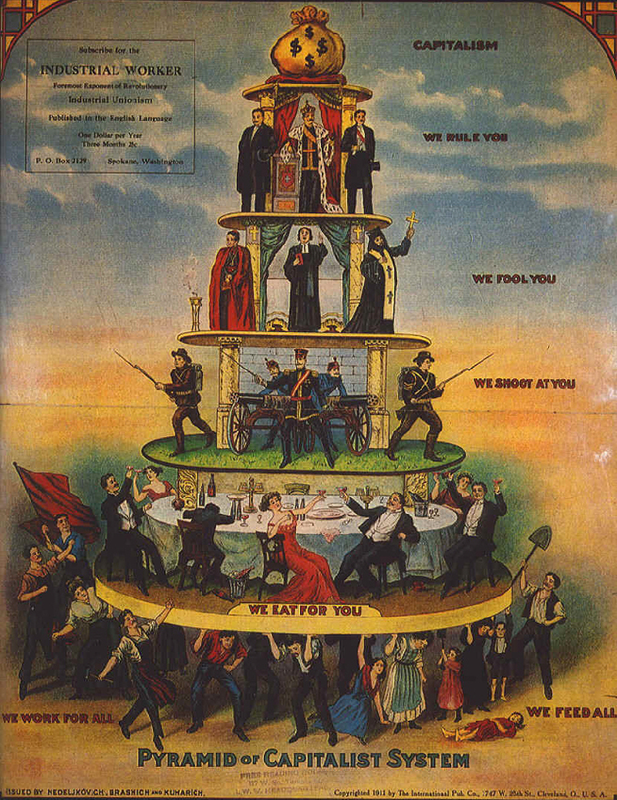 (1911 IWW newspaper/WikiMedia Commons). A powerful excerpt from the new book, "Nuclear War and Environmental Catastrophe." aray Polk: What immediate tensions do you perceive that could lead to nuclear war? How close are we? Noam Chomsky: Actually, nuclear war has come unpleasantly close many times since 1945. There are literally dozens of occasions in which there was a significant threat of nuclear war. There was one time in 1962 when it was very close, and furthermore, it's not just the United States. India and Pakistan have come close to nuclear war several times, and the issues remain. Both India and Pakistan are expanding their nuclear arsenals with US support. There are serious possibilities involved with Iran - not Iranian nuclear weapons, but just attacking Iran - and other things can just go wrong. It's a very tense system, always has been. There are plenty of times when automated systems in the United States - and in Russia,it's probably worse - have warned of a nuclear attack which would set off an automatic response except that human intervention happened to take place in time, and sometimes in a matter of minutes. That's playing with fire. That's a low-probability event, but with low-probability events over a long period, the probability is not low. Though sidelined by the Secret Service scandal, last month’s Summit of the Americas in Cartagena, Colombia, was an event of considerable significance. There are three major reasons: Cuba, the drug war, and the isolation of the United States. In his penetrating study "Ideal Illusions: How the U.S. Government Co-Opted Human Rights," international affairs scholar James Peck observes, "In the history of human rights, the worst atrocities are always committed by somebody else, never us" - whoever "us" is. Almost any moment in history yields innumerable illustrations. Let's keep to the past few weeks.